UK Addiction Treatment Limited, better known as UKAT, has recently opened a new addiction treatment clinic in Worplesdon, near Guildford, Surrey. UKAT is one of the UK‘s most successful groups of addiction treatment centres. I recently interviewed its founder and CEO, Eytan Alexander, about UKAT and their latest treatment centre. Maybe you can start by telling us about yourself and UKAT? I started UKAT in 2013 after enjoying a two-decade long City career at the GFI Financial Services Group, where I founded the Equities Division and advanced to become head of Europe Services. This gave me a unique insight into rapidly expanding businesses. I set up our first treatment centre, Sanctuary Lodge, after experiencing how other treatment clinics worked. Other facilities appeared expensive and the level of care was not what I would have expected. UKAT’s purpose is to provide excellent care and treatment to enable all those suffering from addiction to achieve a goal of lifelong recovery. UKAT gives clients innovative, top quality, affordable support in comfortable locations, generating the best outcomes for patients plus happy working environments for employees and consultants. We currently run six treatment centres in locations across the country in Guildford (Surrey), Halstead (Essex), Luton (Bedfordshire), Worthing (West Sussex), Runcorn (Cheshire) and Bradford (West Yorkshire). This year we joined forces with Addiction Helper. I have always admired what they do. The agreed acquisition of Addiction Treatment enables UKAT to continue to offer exemplary quality of care to all our clients across our six current facilities while having the ability to absorb rising online marketing costs. It’s a perfect synergy as it lowers our marketing and administration expenditure through combining the resources of both businesses. What was the impetus for opening Primrose Lodge? 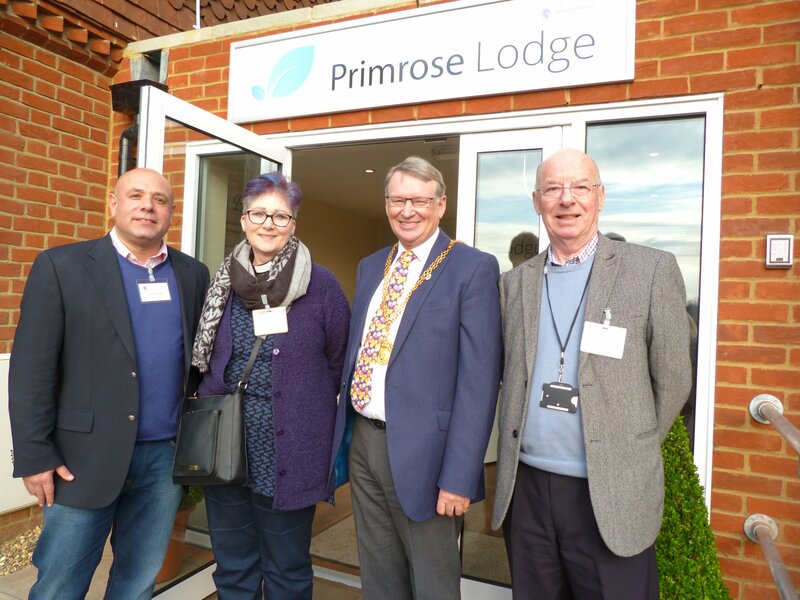 Primrose Lodge in Worplesdon, near Guildford, Surrey is the latest addition to the UKAT family. The building has been completely modernised and renovated with 19 en-suite bedrooms and a gym. As a premier treatment facility, there has been no expense spared in making our clinic comfortable, attractive and homely with fantastic facilities for our patients to enjoy. We take pride in our clinical excellence and the fact that we are able to offer an exceptionally high standard of treatment and accommodation at an affordable price. There are many rehabilitation centres in Surrey and many are very expensive. We at Primrose Lodge offer round-the-clock care from a highly skilled team in a relaxing residential environment. In what ways are your rehabilitation centres different to others? support our workforce by ensuring high staffing levels, we know how tough the job is. It’s important that members of staff are not stretched and are available at every stage of a patient’s recovery. All of our clinics work under a flat management structure so we can grow and maintain great relationships. Our therapists, managers and chefs work together so patients receive the best quality of care throughout their stay. No two patients are the same. UKAT provides individual treatments for each person’s need. Counsellors and therapists tailor treatment programmes for maximum effect to bring about recovery. Group therapy, one-to-one counselling and mindfulness coaching are also on tap. We understand the importance of healthy food so our treatment centres benefit from highly-qualified chefs providing healthy and nutritional meals using fresh ingredients and local produce. Patients are cared for in a holistic way to encourage a healthier mind, body and spirit. We are all about change. If something isn’t working, we will find a way to fix this or try something different. We are happy to welcome new therapies. A patient will typically spend 28 days with us in 24-hour care. We use the well-known 12-step programme to help patients fully recover and encourage interaction with other patients. Our rehabilitation programme includes detoxes, art therapy, cognitive behavioural therapy, group therapy, individual therapy and meditation. We are very open to using new therapies and have started using Dialectical Behaviour Therapy (DBT) and encourage patients to take part in meditation practices. A combination of talking, medicine and physical therapy programmes enable individuals to stop using substances in a safe manner. We run a very managed programme and enable people to make that initial start in the early days of their recovery. Our facilities are based in residential areas so that people are integrated into local communities and can get used to a set routine. It’s all very well to treat someone in a rehabilitation centre in Cape Town, and they can do well there, but when they come back there is no routine to what they do. What we do from the start is to encourage routine which leads to people’s successful recovery. This way we can prepare an individual for their full rehabilitation with their family and community. We also provide a free year of aftercare for every patient. How do you judge the work that is done by UKAT? Our aim is to create the best possible environment for recovery. This is linked to how long they stay in rehabilitation centre. A 28-day treatment has a success rate of four times that of just one week’s rehabilitation. Our patients regularly extend their stay. We give our patients and their family members a survey to complete when they leave. We also give patients a list of meetings they can attend, encourage them to see their local GP and create a plan or routine they can stick to. At UKAT, we are the best at what we do and provide leading-edge treatment programmes. We will continue to improve and develop using the latest techniques. This is not just to benefit our patients, but it would also be to share with others in the recovery sector. education, or upbringing. Finding recovery for myself was, and still is, the driving force behind UKAT. and recover fully. In order to achieve this we have to grow. We are currently planning on opening another centre in Banbury later this year. By opening in new locations, we can provide affordable top quality care across the UK and reach out to those who really need it. Later this year UKAT will be attending the iCAAD conference held at the Royal Garden Hotel in London from Monday, 1st May to Wednesday, 3rd May. It’s a global event which brings together professionals to discuss addiction and other behavioural health issues, incorporating mental and emotional health and well-being. sustainability in the UK addiction treatment arena. I’m being supported by a leading investor, Matt Kenton, who will explain the criteria used by financiers to decide which businesses and enterprises to fund.